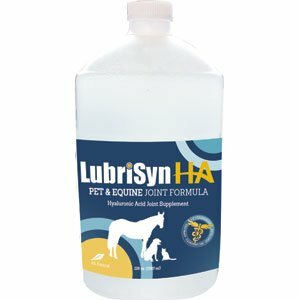 Lurbrisyn offers a line of joint supplements for horses that contain hyaluronic acid (HA) which is an essential component of synovial fluid. LubriSyn pet meds help keep your horse's joints lubricated and healthy. 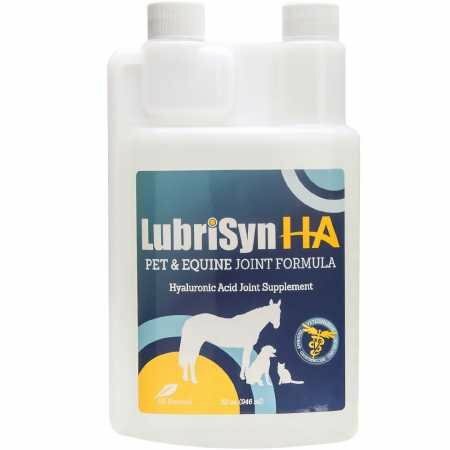 LubriSyn HA Plus with MSM for Equine & Pet Hyaluronic Acid is a naturally occurring component of joint fluid. It can only be supplemented by injection or by oral absorption. In studies, MSM (methylsulfonylmethane) , has shown to relieve symptoms associated with osteoarthritis. These vital elements have come together to create LubriSynHA + for a natural, synergistic, anti-inflammatory effect. LubriSynHA Plus helps support your horse?s connective tissues, is a natural antioxidant, and assists equine muscle tissue rebound from exercise stress and soreness. Highest Molecular Weight HA Non-invasive Joint Support Fast Acting (7-10 Days) All Natural Ingredients Gluten Free BPA Free Made in U.S.A. LubriSynHA Plus Brochure for Canine. LubriSynHA Plus Brochure for Equine. 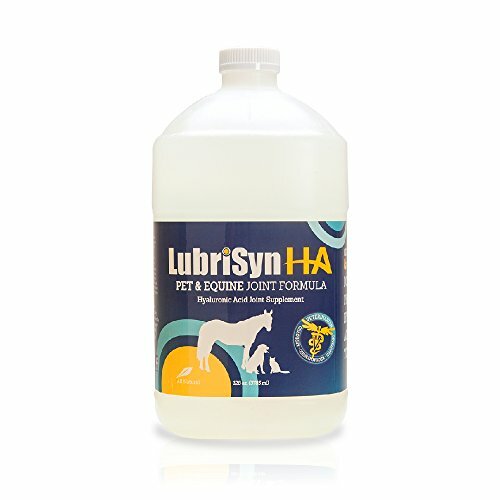 LubriSyn HA Plus with MSM for Pet Hyaluronic Acid is a naturally occurring component of joint fluid. It can only be supplemented by injection or by oral absorption. In studies, MSM (methylsulfonylmethane) , has shown to relieve symptoms associated with osteoarthritis. These vital elements have come together to create LubriSynHA + for a natural, synergistic, anti-inflammatory effect. 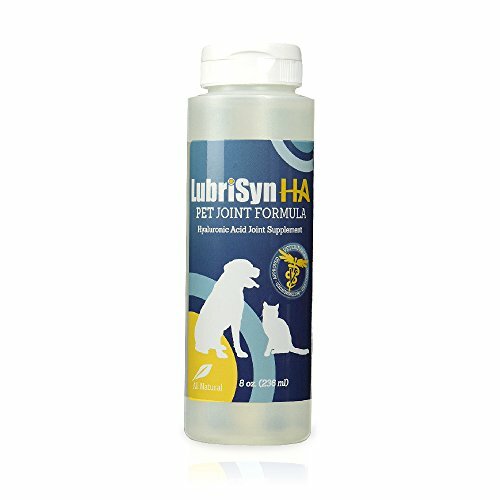 LubriSynHA Plus not only works within the joint, but also provides your pet with connective tissue support. Highest Molecular Weight HA Non-invasive Joint Support Fast Acting (7-10 Days) All Natural Ingredients Gluten Free BPA Free Made in U.S.A. LubriSynHA Plus Brochure for Canine. 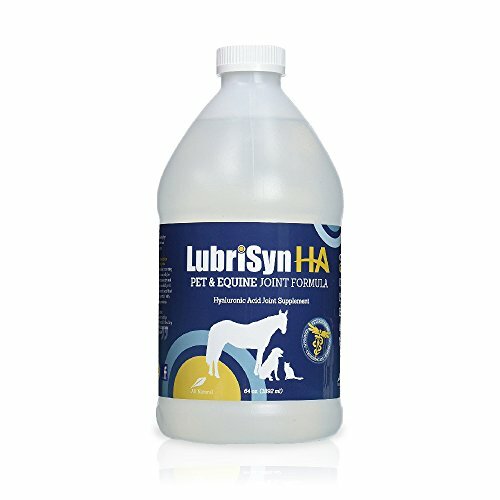 LubriSyn Equine 1 QuartHyaluronic acid (HA) occurs naturally in the joints of all mammals. LubriSyn is an oral form of HA administered daily to maintain consistent levels in the body. LubriSyn maintains joint health, quickly increasing mobility and sustaining joint stability. Constant activity and movement causes the synovial fluid in joints breaks down more quickly. A daily dose of LubriSyn helps restore the viscosity of that cushioning fluid. Over time, animals suffer the loss of HA levels, increasing the potential for inflammation and arthritis. 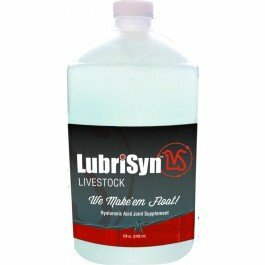 LubriSyn sustains the integrity of joint fluid, helping reduce the need for costly and painful HA injections. 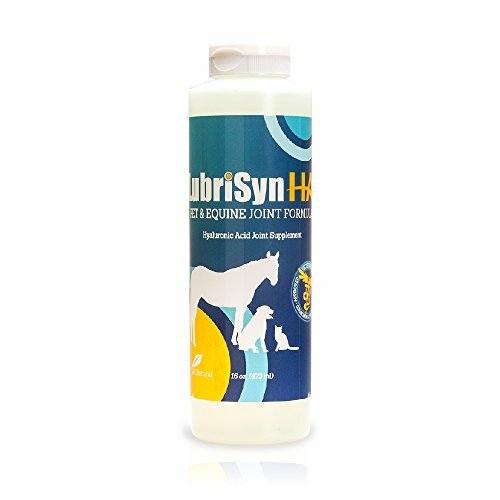 LubriSyn is formulated at a FDA-approved pharmaceutical facility in accordance with the highest quality and safety standards.For Horses, Dogs, and Cats *Bottle contains 1 quart of LubriSyn which allows for 64 doses. Hyaluronan (HA) is a naturally-occurring lubricant that helps cushion every joint in the body. Your canine companion has over 200 joints in his body. For the competitive edge in obedience and agility, your dog's joints must be supple and lubricated. 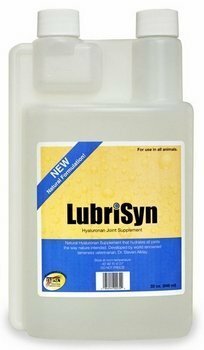 LubriSyn CA is a liquid oral joint supplement made of hyaluronan (HA), a naturally occurring part of normal joint fluid. Unlike glucosamine and chondroitin, HA is easily absorbed because it is found naturally in your dog's body.